Presents suggestions and guidance for using visual aids to help children with autism with everyday routines, including hygiene, dressing, and preparing for school and mealtimes, and with daily and weekly schedules. Visual support aids can be effective tools for increasing levels of communication and independence in children with autism, who often have difficulty interpreting spoken language and non-verbal facial expressions. Describe how these tools can be arranged helpfully around the home for the child to use. 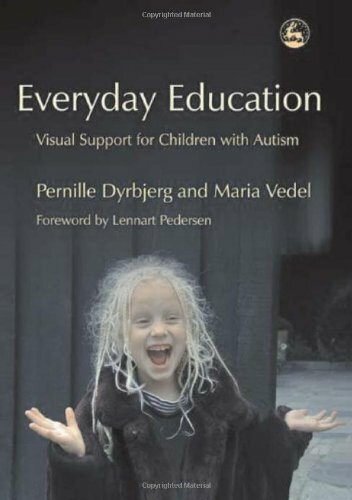 The authors describe how visual support aids can be used in all kinds of everyday situations, from labeling -- to putting together a pictorial activities schedule for the child to refer to.